One of the nice things about working with other motivated climbing guides is that you can go out climbing together after work on really nice days. 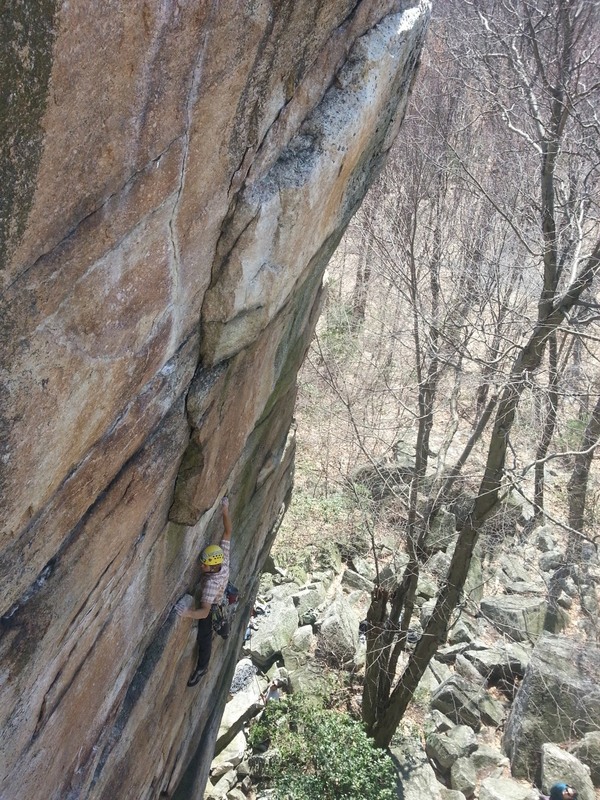 Spring seems to be the best time for climbing too - cool, dry weather, and no critters make for fun, safe climbs. I managed to work in a short afternoon session today with a few of the other Mountain Skills Climbing Guides (I work as a guide/instructor for Mountain Skills in the Gunks and the Catskills). Here's a shot of Dustin Portzline leading Writer's Block, an amazing and reasonably protected 5.12 at the smaller cliffs of Peterskill, the red-headed step child to the larger cliffs on the Mohonk Preserve.